The Sparrow is based on a traditional transceiver design with local oscillator, superheterodyne receiver and a transmitter section, but it also includes some bells and whistles only found in more advanced designs. 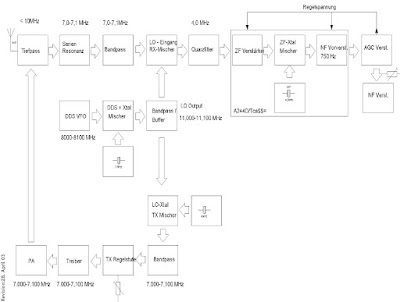 The receiver uses the TX low pass filter and a simple bandpass filter at the input, whereafter the received signal is mixed with the 11 MHZ local oscillator using a SA612. 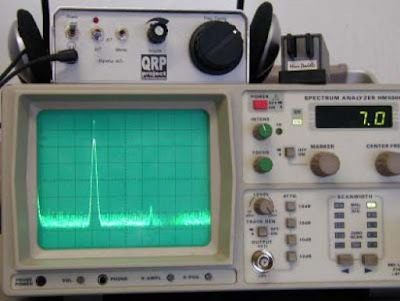 The 4 MHz IF signal is then passed on to an 8 pole Cohn crystal filter with 400 Hz bandwith. This is very good for CW work. After the crystal filter follows the IF amplifier, demodulator, BFO and audio preamplifier, all of which are done by a single TCA440 chip. After the audio preamplifier follows the AGC amplifier based on a single op-amp and the AGC signal is fed back to the TCA440 controlling both the IF and audio preamp gains. The TCA440 has the possibility to attach a signal strength meter. After the AGC preamp there is the final audio amplifier consisting of a single opamp, which is adequate to drive a pair of earphones. The transmitter section begins with a mixer very similar to the first mixer in the receiver (SA612). After the mixer and a set of bandpass filters comes a pre-amplifier with variable gain using a BF199 transistor. The gain of this amplifier determines the output power of the sparrow and can be adjusted from close 0 watts up to more than 15 watts. After this amplifier follows the driver (BF199 + 2N2210A) and the power amplifier. The PA section is a class C amplifier and uses a rather powerful 2SC1969 transistor. By using this powerful transistor at 5 watts or less, the PA stage becomes very robust to mismatched antennasand other unfortunate events. 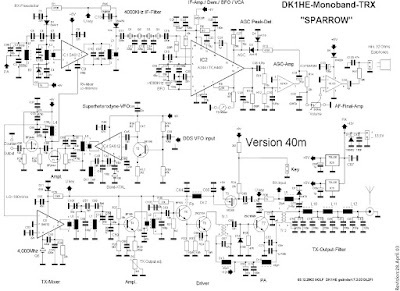 The antenna input/output of the sparrow is 50 ohms and the transmitter harmonics are reduced by at least 50 dBc using a three section lowpass filter. Besides the above mentioned circuits there are some miscellaneous circuits for keying, T/R switching and voltage regulator. The most interesting of these is the T/R switching circuit which uses no relays at all and allows true click-free full QSK. 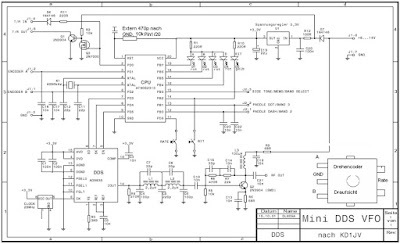 You can see the schematic diagram below. More articles about the Sparrow 40 in the article index.